Washington, D.C. SBA Sports and Entertainment is pleased to announce the recent signing of partnership agreements with New York based Scenic Sports Group and Spanish based Pressiona Basketball Management. The strategic partnerships initiated by the SBA will expand the SBA Sports Management Group's Athlete Representation and Services Division player/client base and increase the company's international infrastructure with a network of collaborating agents throughout Asia, Europe, South America, and the Middle East. "We are excited about the recent partnerships as we continue to build the SBA Management Group increasing our abilities to market our players globally, providing them additional opportunities to secure contracts and be placed in some of the most competitive and respected basketball leagues in the world," states Jerrod Mustaf, CEO of the SBA Sports Management Group. Scenic Sports Group managed by the SBA's Director of Scouting, Terence Blake represents over twenty male and twenty female professional players with over 10 years of experience placing players in Argentina, Brazil, Dominican Republic, Chile, Mexico, Puerto Rico, Venezuela, Australia, China, Korea, Japan, Philippines, Bulgaria, Croatia, Cyprus, Germany, Italy, Latvia, Lithuania, Portugal, Sweden, Turkey, and the United Kingdom/England. Terence will now serve as the Managing Executive Director for the SBA Sports Management Group working directly with and actively pursuing international opportunities for all of the SBA's player clients which now include former NBA Players Antoine Walker, Stephon Marbury, Samaki Walker, Frank Williams, AJ Guyton, Lorenzen Wright, Cedric Henderson, and Kenny Satterfield as well as international basketball and U.S. professional minor league stars Mack Tuck, Desmond Ferguson, Todd Galloway, and Randy "White Chocolate" Gill. 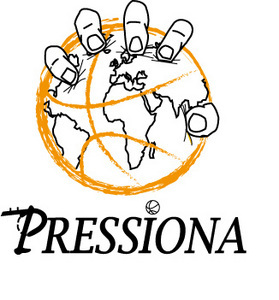 The recent partnership with Spanish based basketball management company Pressiona will enable the SBA direct immediate exposure and impact marketing players within Spain, France, Belgium, Netherlands, Hungary, Luxemburg, Switzerland, Israel, Lebanon, Syria, and the UAE. The SBA will be working directly with collaborating FIBA agent and President of Pressiona, Lamont Boozer. The SBA Sports Management Group Athlete Representation and Services Division is a full service sports and entertainment company that uses a holistic approach to representation offering our clients a unique blend of services to ensure that they maximize their full potential as athletes, coaches, and entertainers; enabling us to advise our clients on all aspects of life and business. Our mission is to provide the best possible service in the industry assisting in every way to fully develop, explore, and leverage our clients' quality of life and career.